The Judicial Council formed a committee yesterday to begin a national search to replace Administrative Director Steven Jahr, who has announced his intention to retire on September 30. The council met by telephone in a closed session under California Rules of Court 10.5 and 10.6, and appointed a search committee. Under the state constitution, the council appoints the Administrative Director of the Courts. That selection committee is chaired by Justice Harry E. Hull, Jr. and includes Justice Douglas P. Miller, Judge Kenneth K. So, Judge Mary Ann O’Malley, and Judge James E. Herman. The five also chair the council’s five internal committees: Rules and Projects, Executive and Planning, Policy Coordination and Liaison, Litigation Management, Technology. 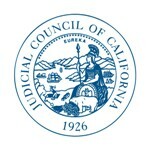 In yesterday’s action, the council delegated to its search committee the authority to (1) conduct a search to identify one or more candidates with the requisite knowledge, skill, and ability to serve as Administrative Director; and (2) to take all steps the committee deems necessary or prudent to identify such candidate or candidates. The council directed the committee to report back to the council no later than August 22nd, 2014 on the status of its search. The job position is listed on the California courts website.